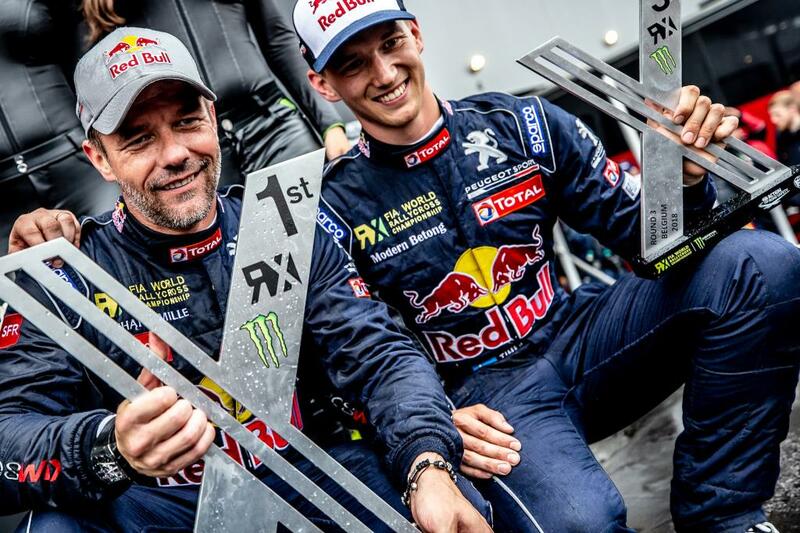 Team Peugeot Total driver Sébastien Loeb went flat-out in the Peugeot 208 WRX to take victory in Belgium. 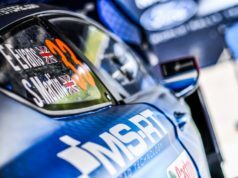 The 9-time World Rally Champion demonstrated his skill and talent by racing to victory in both his semi-final and a nail-biting final. 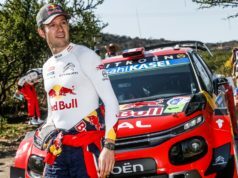 Loeb was joined on the podium by his teammate Timmy Hansen, who was 3rd overall. 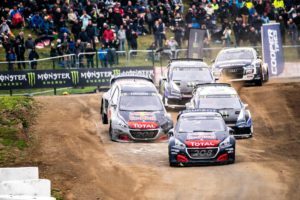 The strong result helps Peugeot move up to 2nd place in the World RX Teams’ Standings with Loeb closing in on the Drivers’ Championship lead. He got into trouble in the challenging conditions of Q3 on Sunday morning, as he found himself in traffic with limited overtaking opportunities. He was then able to bounce back and eventually ended up 4th overall of qualifiers. The Frenchman delivered an impressive performance to win in semi-final 2 and claim pole position for the final. There, he continued his momentum, making the most of his 600-horsepower car in a hard-fought battle to take his 1st World RX final victory of 2018. This great result promotes him to 2nd position in the Driver’s Championship. 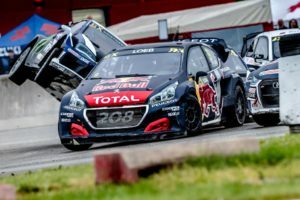 Timmy Hansen made a flying start at Mettet with 3rd and 2nd positions in Q1 and Q2 respectively. On a roll, he scored the top spot in Q3, 7th in Q4, and ended up 2nd overall of the qualifiers. On pole position in semi-final 2, he got violently pushed at the start by Bakkerud and dropped to 6th in the first lap. This kick-started Hansen’s heroic fight-back, with the 208 WRX ace storming through the field. His 3rd position finish was enough to put him into the final, where he again carved his way from 6th at the start to 3rd on the finish line – the 1st podium for him this season. He started Q3 in strong form – grabbing the holeshot with his distinctive yellow 208 WRX – and lead all the race, however a costly mistake on his joker in the final lap – he stalled the engine – meant he ended-up 15th. In 10th position in Q4, and overall 9th out of the qualifiers, he got his ticket for his 1st semi-final of the 2018 season. He started semi-final 1 from behind, and, even if he did not manage to get his seat to the final, he once again proved that he has what it takes to race within the best. After 2 second places in Barcelona and Montalegre, this double Peugeot podium and Sebastien Loeb’s win is a great reward for the team crew. Behind the scenes, mechanics and engineers have been working hard to launch this new competition programme in World RX, right after a stunning 3rd victory in a row on the Dakar Rally in January.